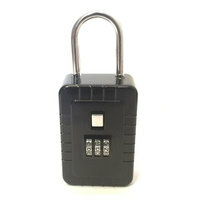 The Real Estate Key Lock Box includes a 3wheel 12 letter combination lock to keep your house key safe. 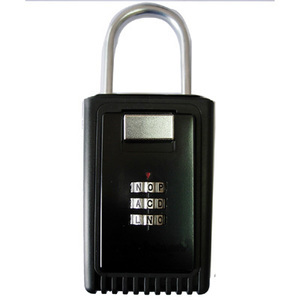 The shackle is covered with protective sleeve and the heavy duty lock box has rubber coat to prevent door damage. 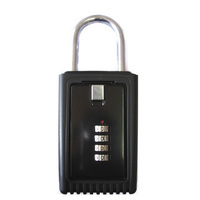 This Real Estate Key Lock Box hangs on any door knob, fence, railing or handle. The real estate lock box lets you set a 3 letter combination from 12 letters per wheel. 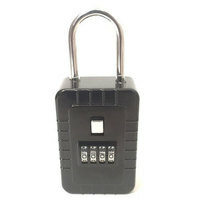 The ideal key lock box for Real Estate Agents and REO properties.